My motivation to become an entrepreneur lies in serving the society: doing something for oneself and others. However, there is still a long way to go before I become an entrepreneur and it is even longer way to start making a profit, if at all. Entrepreneurship is a sustainable way to serve the society, by providing goods and services; and employment opportunities to people, conducting corporate social responsibility or CSR activities, paying Taxes to the government, and the like. However, what about doing something for the society right now? Can I do that? If I can, then how? 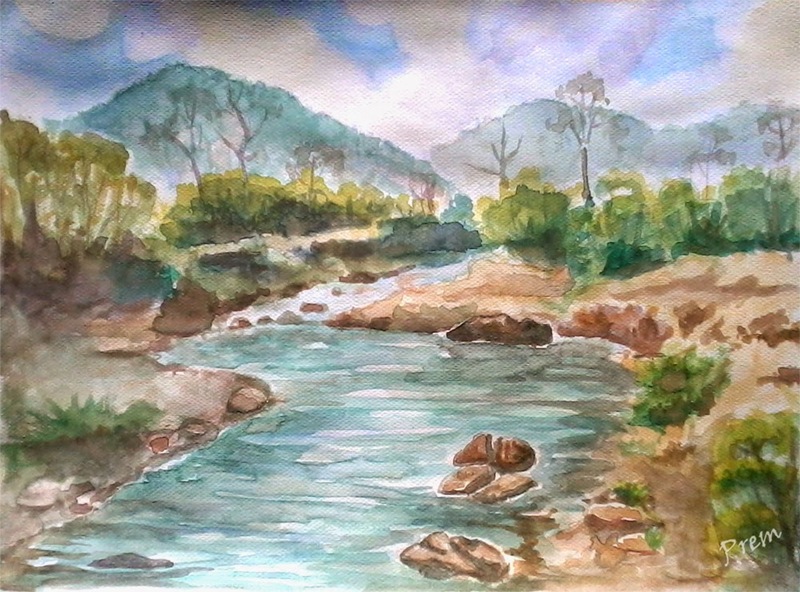 Landscape painting made in A3 sized French Cartridge which is ideal for room decoration at homes. I found the answers to these questions in my artistic activities. I was further inspired by Help Nepal Network, and my first ever donation will go to this organization. For that, I have started to make paintings and create a collection, which I can someday, exhibit and sell. The proceeds will then go for the charity. This is the first painting I made after I conceived the idea of charity, about a week ago. In one of my previous posts, I have described how I have decided to NOT keep paintings to oneself, but give them away on a purpose. Now, with the new idea, I have found an even better purpose or use of my paintings. I made this painting about a week ago, by referencing a diwali photograph which I had taken in 2012. I admit that I overdid it and made some horrible mistakes, but I hope some people will like this too. It showcases our culture of how we celebrate Diwali (Deepawali) or Tihar. Sight of sunset in the dusk. 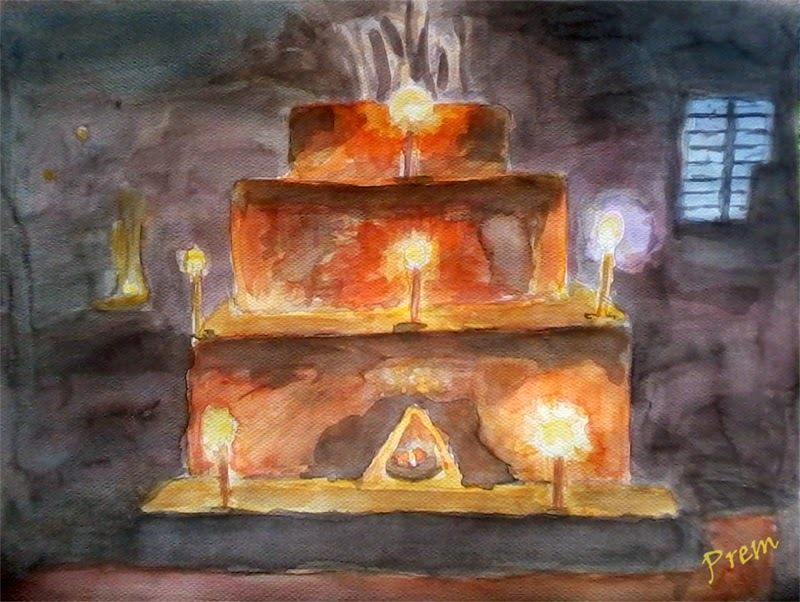 I made this painting about a month ago and had already posted it in my Facebook Page. This art tries to capture the sight of the sunset in the dusk. This is a smaller sized painting, exactly half of the A3 sized paper. 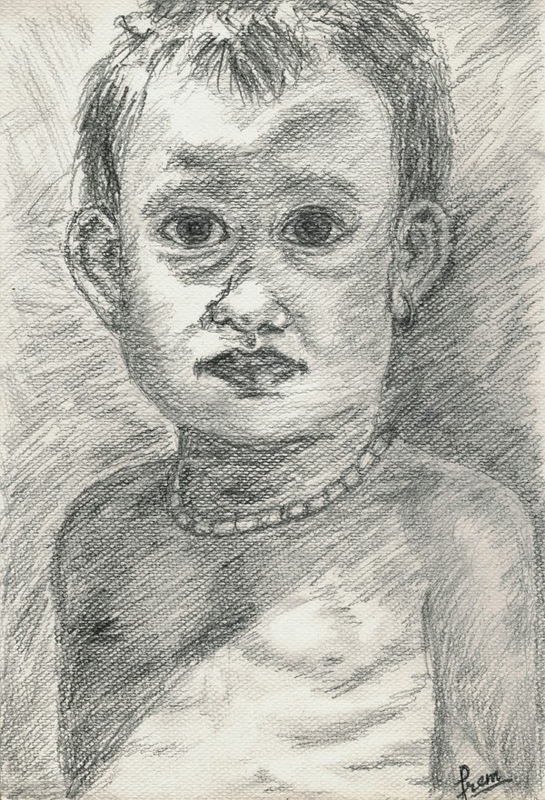 This is the portrait sketch of a boy and this one looks quite artistic. I made this with quick strokes and it was indeed completed quickly which gave myself a satisfaction. Right now, I have these four paintings in my collection which are on sale for charity. 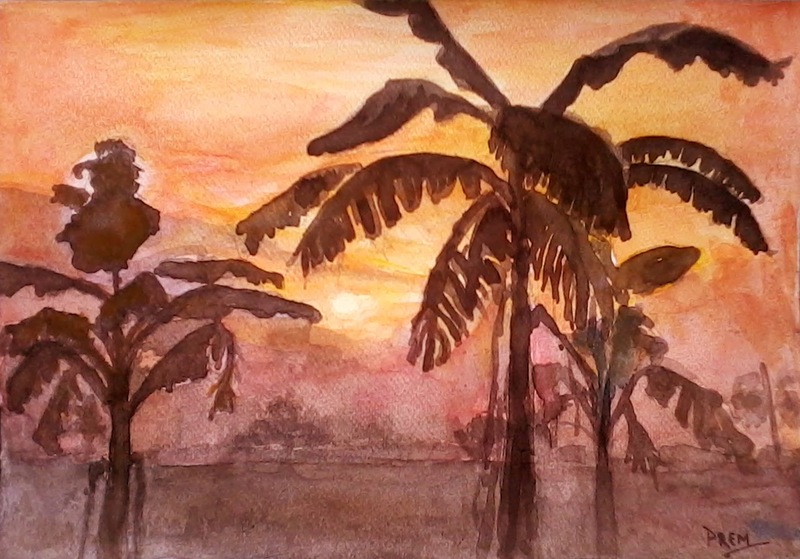 My aim is to do more paintings, collect a good amount of fund (like Rs. 10,000+), and ultimately donate it to the charity founded by Rabindra Mishra, Help Nepal Network, which is doing exemplary works in the different parts of the country. I will keep you updated in this matter, through this blog. If you are interested to buy my paintings, please contact me in my email: premgaire.2007@gmail.com or Facebook Page of this blog.